Down here, you will find all the info you need to to achieve the effects you see in this video. 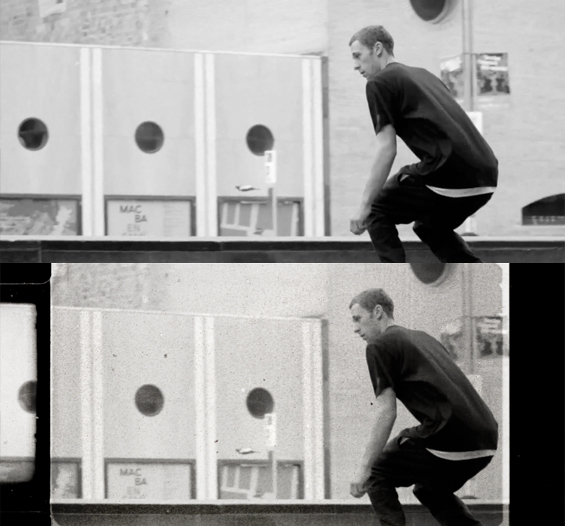 To practice this Film Look tutorial, you will need the original skateboard footage that is available for free at mazwai.com. Look for the superb black and white skateboard footage shot by danimillan.com/. Hoping that you will make good use of these Film Look Overlay techniques. David at Filmlooks. I placed the file “deterioration_02” on a new layer over the footage. There was a little playing around with the white and black tones. I then applied the “Hard Light” composite mode. I placed the light leak effect “FILE 18” on top of all. There was little cutting involved. I only picked the few frames I needed for a quick nice flash frame effect. Then I applied the “Lighten” composite mode. 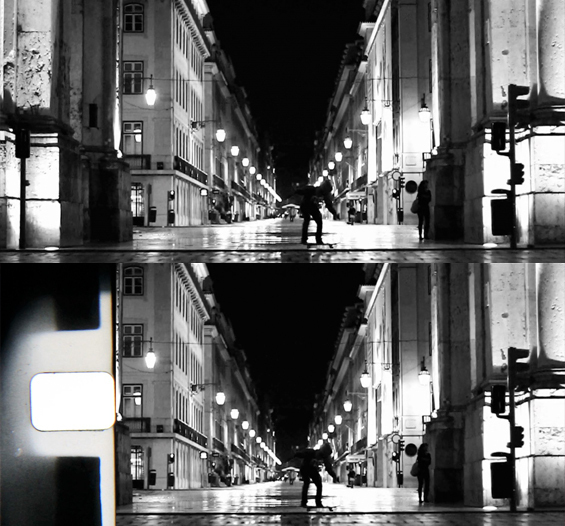 Over the footage, I placed pieces of “FILE_1” and “FILE_3” from the Film Look Effects Collection. I then applied the lighten composite mode on the effect layer. 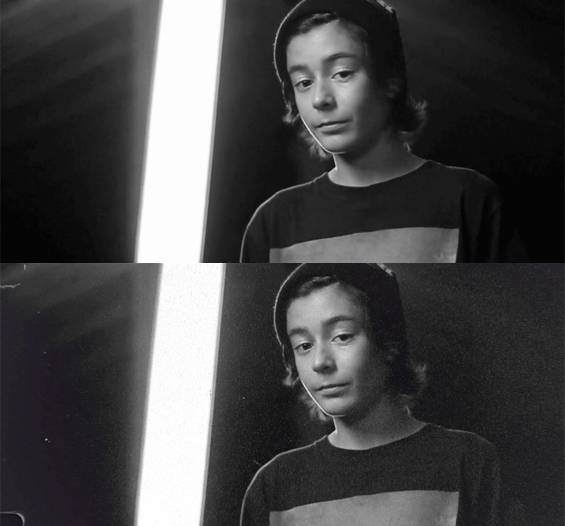 I placed a fade out dissolve effect at the end of the light leak to make it end smoother. I simply applied the “dirt_and_scratches_7” file over the footage. Then I added the Hard Light composite mode. 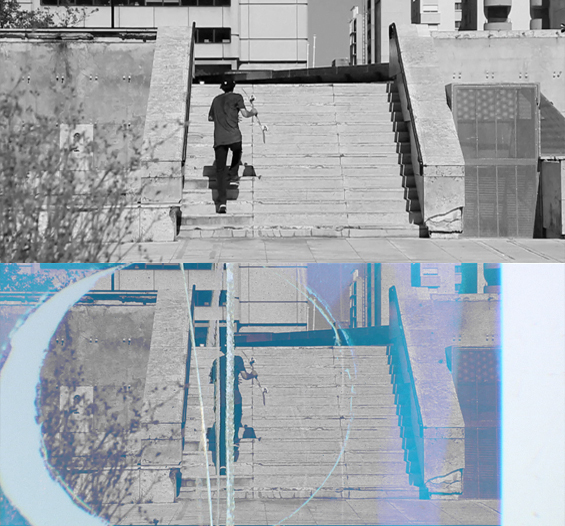 The skateboard footage was centered in the film frame. The File “dirt_and_scratches_7” is in our Film Dirt and Scratches Collection. I placed the file “DIRT_SCRATCHES_22” over the footage. Then I applied the Darken composite mode. I unsaturated the effect layer. I also did a little playing around with the whites and the blacks. The “DIRT_SCRATCHES_22” file is in our Film Dirt and Scratches Volume 2. This most recent collection was produced on a Lasergraphics Scanstation. The result is razor sharp stunning images. Every time I look at the files, I am blown away by how much detail this Scanstation captured. I am proud to say that this is cutting edge of technology, and soon this collection will be available in 4K. I overlaid the file “deterioration_02” on the footage. I then applied the Hard Light composite mode. I also made some adjustments with the black and white levels. “deterioration_02” file is in our Dirt and Scratches Collection. I placed “FILE_13” over the footage. I then applied the Lighten composite mode. “FILE_13” is in our Film Look Effects Collection. On top of everything, I overlaid “dirt_and_scratches_09”. I then applied the Hard Light composite mode. “dirt_and_scratches_09” file is in our Film Dirt and Scratches Collection. I used “heavy_scratch_01” over the footage. I then applied the Screen composite mode. I also desaturated the effect file and tweaked the black and white levels for best result. “heavy_scratch_01” is available in the Film Dirt and Scratches Collection. I overlaid “FILE_1” on the footage. I then applied the Lighten composite mode. Because I wanted the flash frame to stay a little longer, I copy pasted it a few times on the timeline. 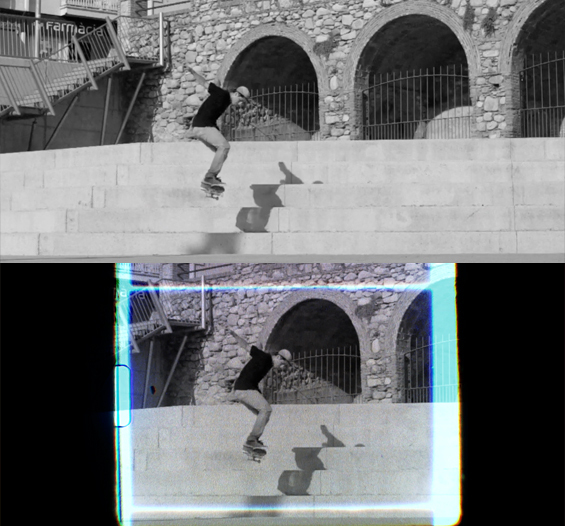 “FILE_1” is available in the Film Look Effects Collection. I placed the File “dirt_and_scratches_08” over the footage. 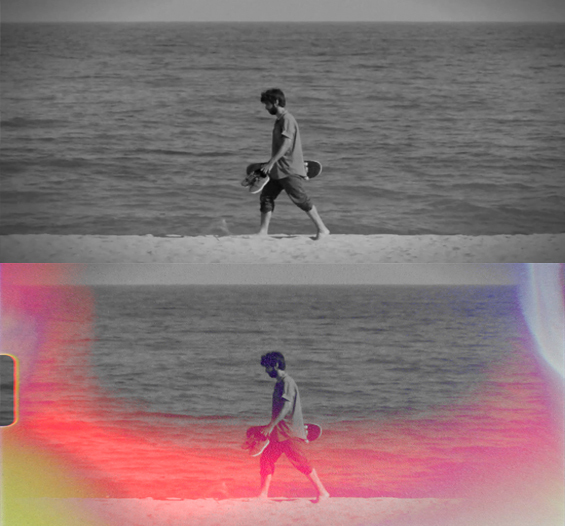 I then applied the Invert (negative) effect to this file. On top of “dirt_and_scratches_08” I placed the File “dirt_and_scratches_02”. I applied a sharpen effect to get some crisper dirt and then I added the Soft Light composite mode. I darkened the blacks just a little and made some desaturation on the effect layer. 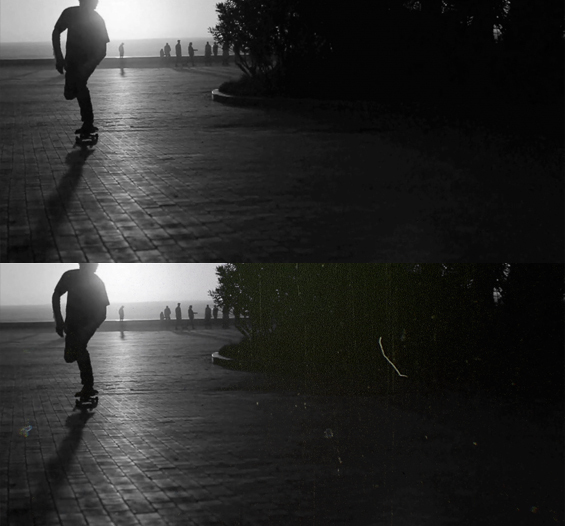 On top of everything, I placed the skateboard footage and I applied the Overlay composite mode. both effect files are in our Film dirt and Scratches Collection. I overlaid “dirt_and_scratches_01” and I applied the Multiply composite mode. I then Brightened the whites just a little bit. This technique allows to get dark artifacts. On top of everything, I overlaid another portion of “dirt_and_scratches_01”. 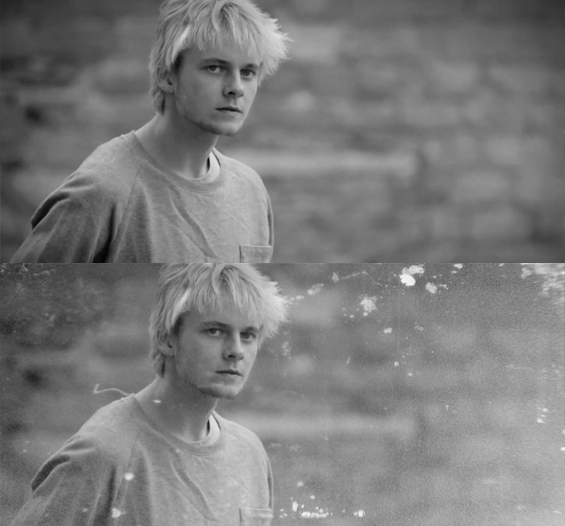 I applied the Invert (negative) effect. Then I used the Lighten composite mode and tweeked the whites up, but just a little. 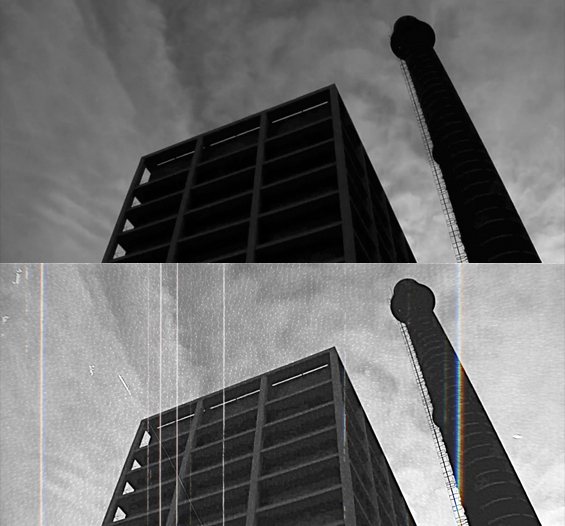 This technique allows to get white artifacts over the footage. File “dirt_and_scratches_01” is available in our Film Dirt and Scratches Collection. 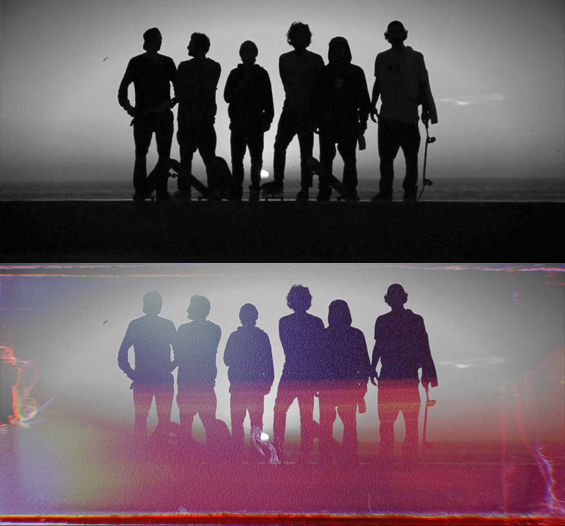 I overlaid the file “deterioration_1” on the footage. I then applied the Lighten composite mode. this film look comes from the Film Dirt and Scratches Collection. 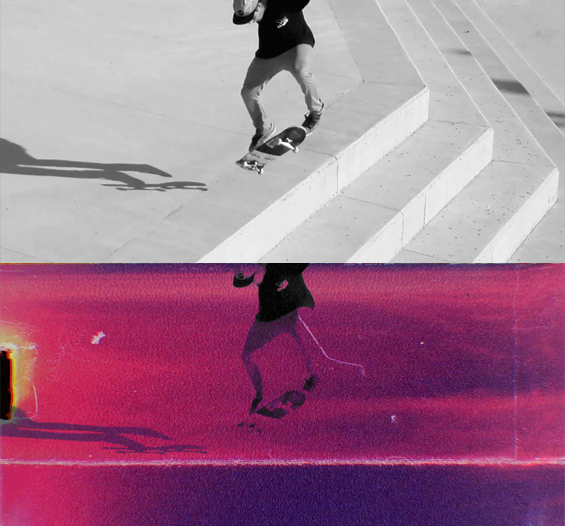 I placed “FILE_27” over the skateboard footage. I then applied the Lighten composite mode. 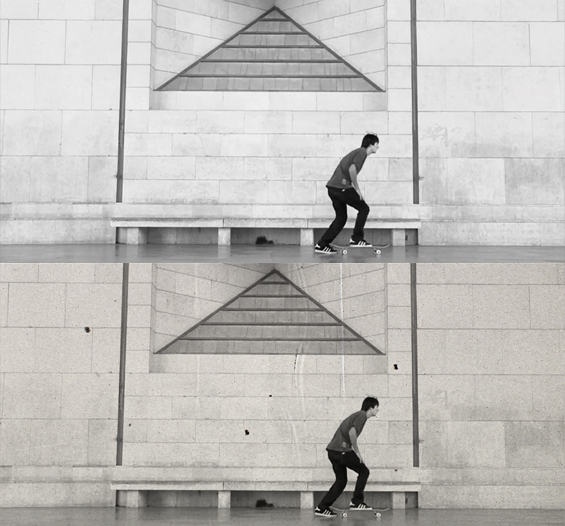 To avoid transparency, I cropped about a third of the skateboard footage to the left. “FILE_27” is available in our Film Look Effects Collection. I overlaid the file “dirt_and_scratches_01” from our Film Dirt and Scratches Collection and I simply added the Multiply composite mode. I overlaid “FILE_19” on the footage and I applied the lighten composite mode. I did some cutting and I copy pasted the clip multiple times so the effect would last just the way I wanted. “FILE_19” is available in our Film Look Effects Collection. I overlaid the file “dirt_and_scratches_13” on the footage. 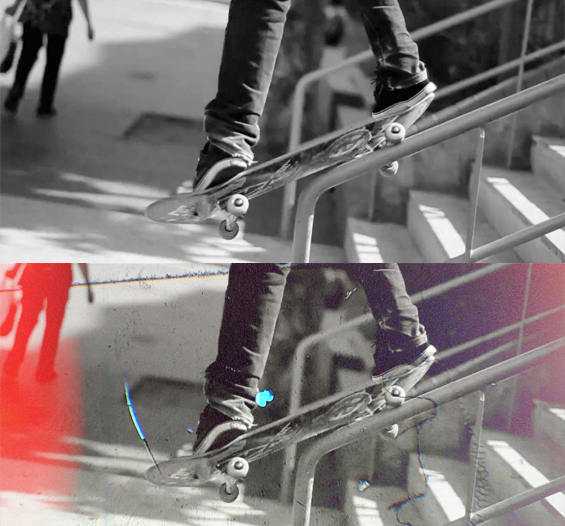 I then added the Invert (Negative) effect. I also applied the screen composite mode and darkened the blacks on the effect layer. “dirt_and_scratches_13” is available in our Film Dirt and Scratches Collection. I overlaid the file “Heavy_scratches_06” from our Film Dirt and Scratches Collection. I then applied the Lighten composite mode. I also added the file “dirt_and_scratches_02” and applied the Multiply composite mode. I overlaid the file “dirt_and_scratches_09”. I then applied the hard light composite. I then made some tweaking with black and white levels. 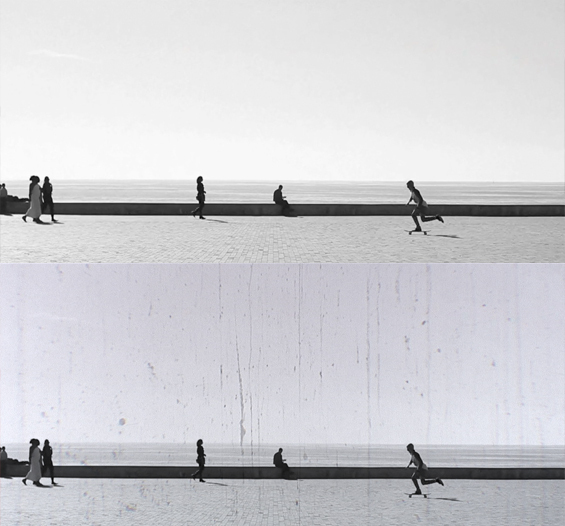 On top of all, I overlaid the file “dirt_and_scratches_06” and added the Invert (Negative) effect. I then applied the Lighten composite mode. I placed the file “dirt_and _scratches _09” on top of the footage. I then applied the hard light composite mode. I also made some adjustments with the black and white levels. “dirt_and _scratches _09” is available in our Film Dirt and Scratches Collection. I placed the file “dirt_and_scratches_02” over the footage and I applied the multiply composite mode. I also chose to sharpen the effect a little and to enhance it with the black and white levels. “dirt_and _scratches _02” is available in our Film Dirt and Scratches Collection. I used “FILE_14” from the Film Look Effects Collection and I simply applied the darken composite mode. I placed the file “dirt_and_scratches_05” over the footage. I then applied the overlay composite mode. I also tweaked the blacks and white to get a brighter image. I placed the file “dirt_and_scratches_11” on top of all and I applied the screen composite mode. Both files are available in our Film Dirt and Scratches Collection.